Allow me to give you a little lecture on the lymphatic system. Do you know that we have a total of 500 to 701 lymph nodes scattered systematically all over our body. The lymphatic system is an important part of our immune system. It functions as a filtering system and help get rid of the unwanted toxins from our body. I was invited by Hannah and Go60 to attend the launch of Go60’s newest treatment, the Manual Lymphatic Drainage Facial Treatment which uses the 7 steps of Spanish Lymphatic Massage It is a very hydrating treatment and it triggers the lymphatic points in the face which can help get rid of the toxins that accumulates in our body. 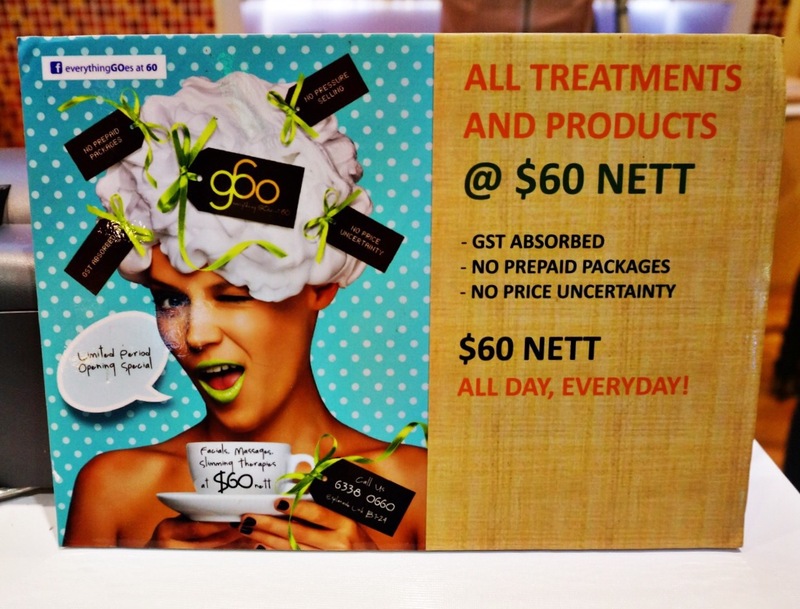 Go60 is a lifestyle spa concept boutique by Mary Chia Holdings Limited that offers all treatments and products at $60. I like how it makes it all so simple. They don’t require customers to get packages. I prefer this actually because I was never the one who likes getting pacakges. I always prefer to pay ala carte. I like that it is strategically located in between City Hall MRT and Esplanade MRT. Anyone who works near the area can get a treatment at $60 for 60 minutes. We were given a tour of the place. Each treatment are color coded: red, yellow, blue, and green. For aging, spot-control, hydrating and oil-free. They also use MU essentials treatment series are also available at Go60. We served with these yummy cold-pressed juices from Antidote. We also had these cute snacks for the launch. Then we were given an introduction and demo by the trainer of Go60 on the Manual Lymphatic Drainage Hydrating Treatment. Here, we were shown the points that will be triggered during the massage facial. Few of the many benefits of the Lymphatic Facial are anti-ageing, reduction of facial puffiness and removal of toxins from our body. I was nice to see Hannah and Lunarrive in the launch. Luna was able to get a short sample of the facial during the launch. She said it felt so relaxing. The treatment, however, is contraindicated to pregnant women, those with lympadenopathies and those with thyroid problems. We went home from the launch with this hydrating masque. My dry facial skin was thanking me for this masque treat. Thank you Go60 and Hannah for the invite! We were also give one free session to try the Lymphatic Drainage Massage Facial. But due to my current medical condition, I am unable to try it. But Luna recently tried the facial which involves cleansing, scrubbing, massage, mask and toning. 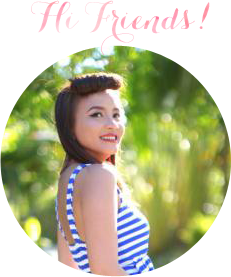 Watch out for Luna’s blog post about the facial. Thank you Hannah and Go60 for inviting me in this event.